Unfortunately, that is rarely the case in business. It may be obvious from the numbers that sales are up or down, but it’s generally a lot less obvious what the right course of action should be to address that. Should we adjust prices? Should we increase or decrease advertising? Should we hire or fire sales people? Good analytics tools can help organizations solve problems by exploring the impacts of different scenarios and comparing them to help clarify which would be the best course of action. However, many analytics tools are still quite inflexible and limited in that respect; they do not provide simple ways to project what different scenarios might look like. Even when organizations have decision-making options to compare, the choice of a best decision is rarely black and white. Usually individual judgment and communication with others is required to pick the best course of action. Thus the best outcomes typically are ones that have been vetted with participants as an integral part of the process and have included the assigning of tasks to the participants and tracking those tasks to completion. This visibility into the process helps document decisions, both for compliance purposes and for knowledge sharing. And operational systems will have been updated with the results of decisions – for example, new prices, budgets or staffing plans. Collectively, I describe these capabilities as collaborative decision-making. 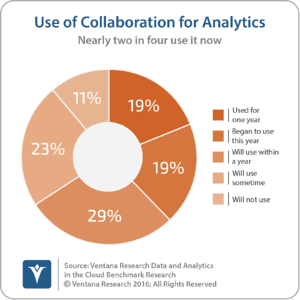 Our Data and Analytics in the Cloud benchmark research shows that more than half (52%) of organizations use or intend to use collaboration with analytics. As you evaluate analytics products and work with your existing vendors I encourage you to keep your eye on the prize – action, not just analytics. 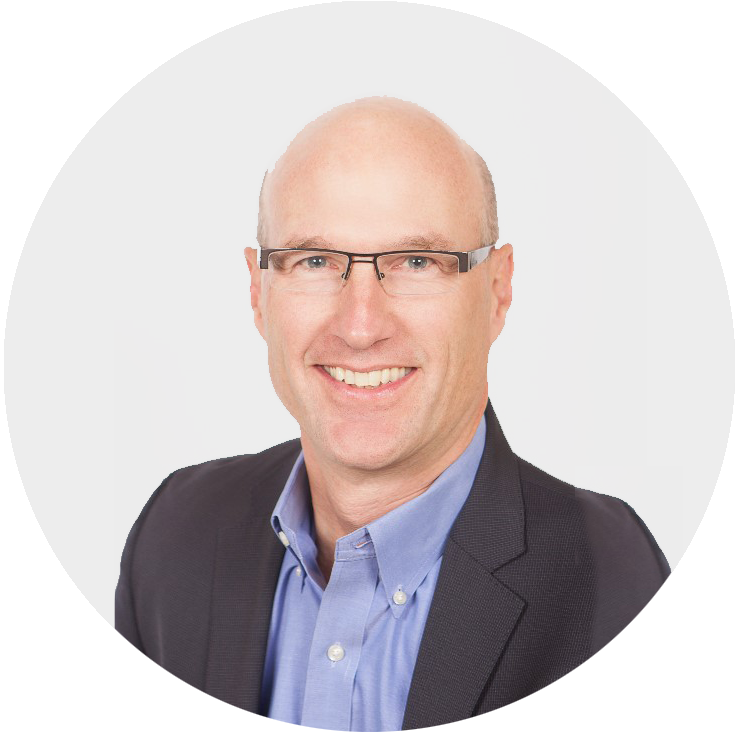 Consider vendors that support collaborative decision-making. If your vendor does not yet offer these capabilities, push it to add these features. Doing so will help ensure that your analytic processes result in actions that improve the bottom line for your organization.